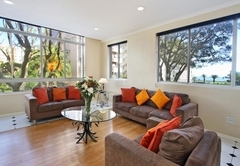 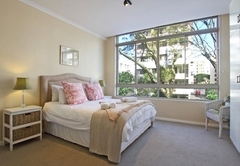 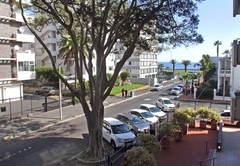 Berkeley Square 8 is a property providing self catering in Sea Point for up to 4 guests visiting the Atlantic Seaboard region. 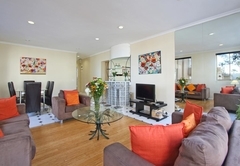 Berkeley Square 8 is a spacious two bedroom holiday apartment, located 100 meters from Beach Road Boulevard and Sea Point Promenade. 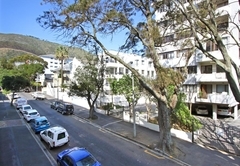 From here you are conveniently close to the great attractions and a host of activities as well as the V&A Waterfront, Green Point Stadium, City Centre and Camps Bay. 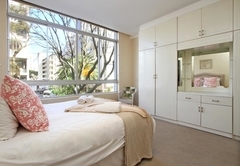 The fully furnished apartment sleeps four guests in two bedrooms. 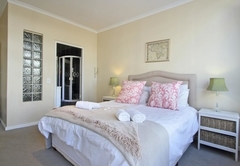 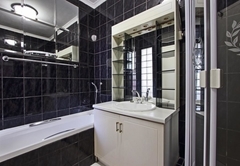 The main bedroom has a queen size bed and views of Lions Head as well as an en-suite bathroom with a shower and a bath. 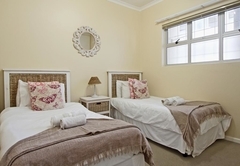 The second bedroom has two single beds and an en-suite bathroom with a shower over the bath. 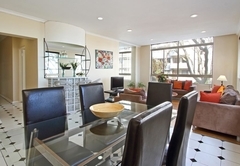 The living area has two couches and a chair as well as a flat screen TV with DStv and a DVD player. 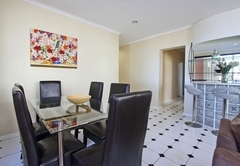 There is also a six seater dining table where you can enjoy your meals together. 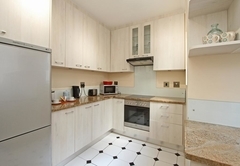 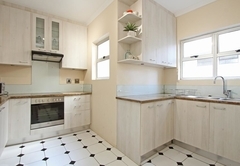 The kitchen is fully equipped with crockery, cutlery, fridge / freezer, oven, stove, washing machine and tumble dryer. 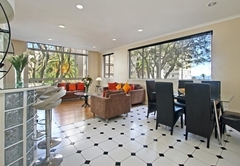 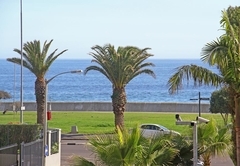 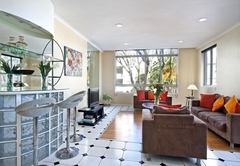 Modern 2 bedroom/ 2 bathroom apartment with lovely sea views from lounge and dinning area, while only 100 meters away from the Atlantic Ocean and Sea Point Promenade. 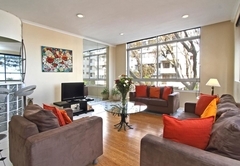 Response timeBerkeley Square 8 typically responds to requests in 5-10 minutes.